Occasionally all of us want to give something back. If your business is ticking over nicely enough, you may feel now is the time to convert some of your earnings into an act of charity that will not only make you feel better personally but strengthen the positive reputation of your business. There are many different ways in which you can invest your money philanthropically. Here are a few ideas. A great way to give back to your community is to offer grants to those less fortunate. This could be to help with any cause you desire from funding someone’s education, to funding poor families to helping a homeless person with a deposit for a property. Grants – unlike loans – are not paid back, so make sure that it is an amount that you feel comfortable spending. You may wish to set a limit on the grants you give out if you plan it to be a permanent strategy, to stop you from overspending. Medical research affects us all. You can help find prevention methods and cures for life-threatening and disabling illnesses by pouring money into treatment research. Many will invest in a cause that is dear to them. Those with families that have suffered liver damage or had transplants might get a sense of comfort by investing in liver research. You can find individual research teams rather than charities and invest in them individually in order to ensure that your money is going to the right place. Supporting a charity can be great for your business. There are a multitude of ways to donate, the most basic being to offer single sums. You could help fund a local charity event or get a project off the ground. Some businesses may donate a portion of their profits to charity or a set amount from each sale, known as micro-lending. There is also the option of a donation box. This could be something for colleagues such as a swearbox, or it could be a box for clients and customers to donate to at their leisure. 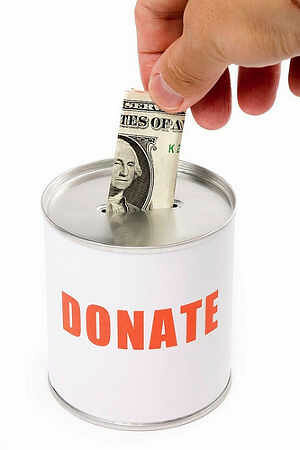 Even if you don’t want to donate money, you could donate your services to a cause. This could involve lending your premises to a charity event, or lending your product or services as a prize in a charity raffle or auction. If you want to contribute to your own cause via your own methods, you could set up your own charity. Pour some initial funding into it and advertise it alongside your business so that clients are aware of it. You’re best setting up a separate account for this – your charity will be exempt from tax, although you will have to get it registered first in order to give evidence that it is a noble cause. You can also set up your own charity events to raise money, or sell a limited edition charity product in which all of the earnings will go to your chosen charity.